We offer a full range of skin care services. From body waxing and facials to massages and more. Includes deep pores cleasing, steaming, masque and massage. A deep pore cleansing treatment includes skin analysis, steam, massage, exfoliation, extraction and a mask. A deep pore cleasing and restoring facial, personalized for the most demanding complexions. Askin resurfacing alpha/beta hydroxyl facial that will reveal smoother skin and a more radiant complexion. This back treatment is excellent for stress reduction & relaxation. 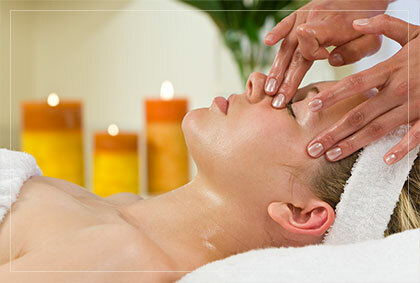 Treatment includes steaming, cleansing, exfoliation, massage, final mask, toning & moisturizing. * Prices may vary for customized waxing. ** Waxing services cannot be performed on clients who are taking Accutane, Retin-A, or antibiotics due to the sensitivity these products cause to skin. Also, please allow 24 hours before exposure to the sun to prevent this sensitive skin from burning. *** Prices subject to change without notice.